There are a lot of reasons why you may want to look for certified used cars for sale over buying brand new. When you have a used car dealership like Carson Cars that you can truly trust, it is easier than ever to be able to shop for pre-owned cars for sale in Bothell that will save you money and turn out to be a great investment. Are you worried about a used dealership not having enough of a selection on hand that you can browse through? When you shop for cheap used cars for sale with Carson Cars, you can always enjoy at least 200 vehicles in stock on the lot that will be just right for taking for a spin to determine if the right match is there for you. If there is a certain make and model that you are interested in, you will find that the professional, knowledgeable staff at Carson Cars will be happy to set you up with a list of several options that you can take for a test drive. Whether you are interested in adding another vehicle to your household, if you have a teenager who is now driving and needs their own wheels or you are buying your first car, you can always count on our team at Carson Cars to offer you an amazing deal. If you are looking for cheap used cars for sale, call Carson Cars at (855)583-9356. 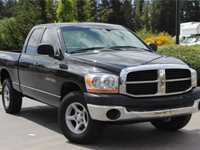 We have the best selection of pre-owned cars for sale in Bothell. All you need to do is stop by and tell us about what you are looking for in cheap used cars and we will either show you what we have in stock or look to see what we can bring into inventory for you.